(Bloomberg) -- High on the list of President Donald Trump’s priorities as he tries to close a trade deal with counterpart Xi Jinping is making sure China faces consequences if it doesn’t live up to its promises. Yet in pursuing that goal Trump may also be giving China a new cudgel to use on American companies and striking another blow to the international rule of law. The Trump administration wants to have a mechanism that would allow it to quickly punish any foot-dragging by Chinese officials by imposing tariffs or other sanctions without having to go through the World Trade Organization or other adjudicators that they argue have been ineffective in the past. But any reciprocal deal would give Chinese leaders another way to quickly apply their own pressure on American companies. The mechanism being contemplated, U.S. officials have said, would require consultations between U.S. and Chinese officials over disputes but ultimately allow either side to impose trade sanctions unilaterally. The deal may also see both sides agree to forego their right to retaliate or challenge any enforcement action by the other at the WTO. 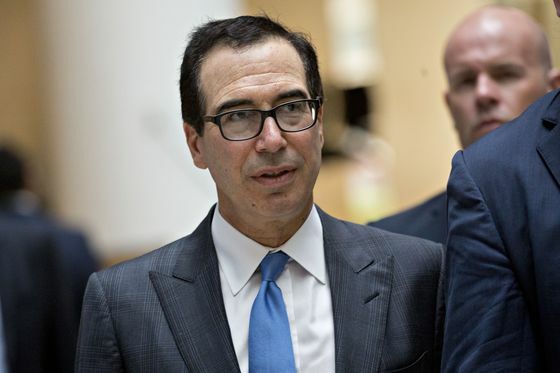 Business groups have declined to comment publicly about Mnuchin’s statements, saying the model of the enforcement system isn’t clear yet. Lobbyists nevertheless complain they’re not being consulted by the administration and fret that once a deal is announced American companies will be forced to accept it as a fait accompli. Robert Lighthizer, the U.S. trade representative who previously indicated the U.S. would insist on unilateral enforcement powers, has said he’s not planning to seek approval from Congress for a China deal. The administration is though already facing disquiet in Congress over the impact of tariffs, its authority to impose them and the perception by lawmakers that they’ve been largely left in the dark during the deal-making process. Congressional aides say concerns about Trump’s trade policies are only likely to grow on Capitol Hill if a deal gives China power to strike American exports as it wishes. At its extreme such a construction would also be a blow to the WTO as the independent arbiter of global trade rules. The Trump administration is already attacking the WTO’s dispute settlement system by blocking the appointment of new appellate judges. A U.S.-China deal that sets up a parallel system for the world’s two largest economies would take things a step further. Jennifer Hillman, a former WTO judge who teaches at Georgetown University, said while trade pacts often include dispute mechanisms the brewing U.S.-China pact would be unique if it didn’t have a role for third-party arbitrators. It also could see much of the WTO case load go away with the U.S. and China historically two of the biggest users of the dispute system. “When it is the two biggest countries that have brought the majority of cases at the WTO, it is a big blow to the system,’’ Hillman said. 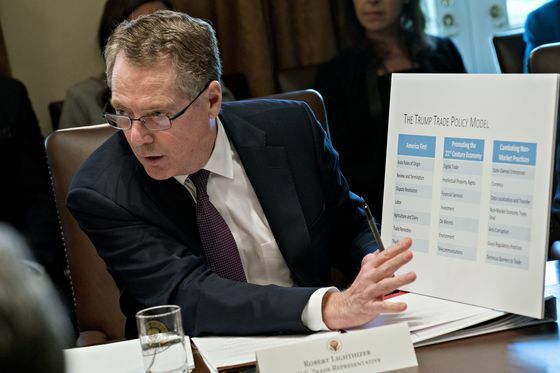 Administration officials argue that Trump has a more pragmatic approach to trade than previous presidents, one that views prior U.S. commitments such as to the WTO and its rules through the lens of self-interest. The WTO has failed to restrain China’s rise, they argue, and its dispute system is too slow, which is why they want a nimbler enforcement mechanism in a deal with China. But escaping the grasp of the WTO may still be difficult. The U.S. and China both have major cases pending at the WTO, said Chad Bown of the Peterson Institute for International Economics. Moreover, the U.S. has shown that it’s willing to use the WTO when it aligns with its interests, such as in the long-running Boeing-Airbus dispute, which triggered Trump’s threat this month to impose tariffs on $11 billion in imports from the EU. Moreover, other WTO members are likely to have their own complaints with a U.S.-China deal and to use the WTO to challenge it, said Jim Bacchus, a former chief judge of the WTO’s appellate body. “The United States and China are not the only two countries in the global trading system,” he said.